The participating teams and rosters for the 2014 US Youth Soccer Region IV (Farwest) Championships will be available in early June. have an account, please take a moment to register here. For more information on the Region IV Championships, click here. 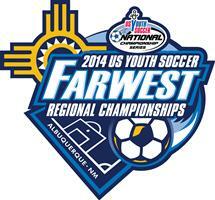 2014 Region IV (Farwest) Championships –Albuquerque, N.M.